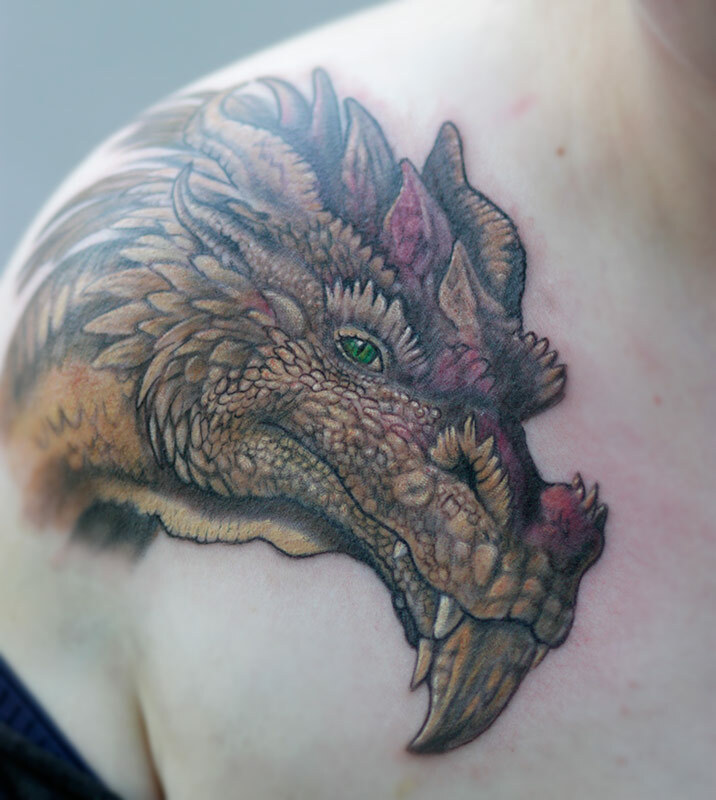 Full color tattoos — Malan - Top Realism Tattoo Artist working from Germany, Neuwied. Full color tattoos are hard to pass by without noticing. These days there are more and more tattoos in general, but full color sleeve or any other nicely sized and detailed color tattoo will be seen and will create wow-effect. There is some uniqueness to the skin that has been colored nicely. 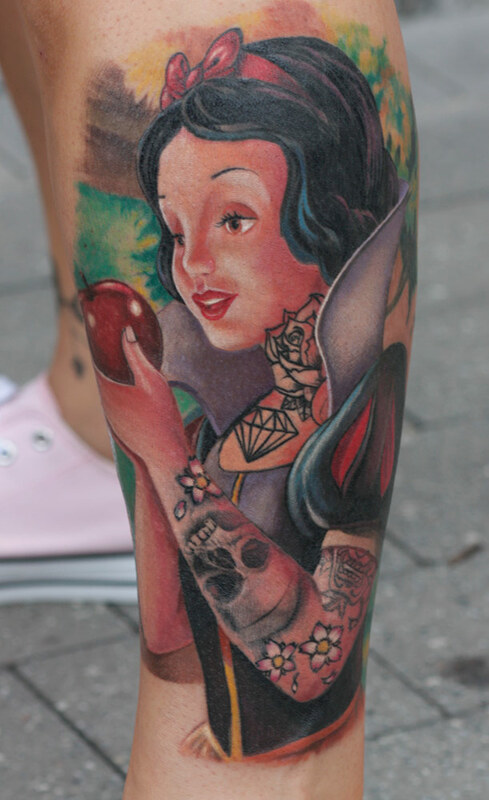 Black and grey tattoos can be fantastic, but really I believe that it is hard to beat the power of full color. Skin seems to look like something more. Like a canvas painted in oils. This color tattoo even that is fairly small (around A4 size), took around 11 hours to complete. In this picture, around 50% of the tattoo is healed. That shows how well-saturated skin is. The idea behind this full color phoenix tattoo was to create an effect of the big wing along with Phoenix image. That way what viewer sees first is a big shape, and then when he approaches closer - the detail is visible. This tattoo was made for a chef. It was fun to do, and unique - crazy idea. And I say oils for a reason. Oils are the closest to what we do on the skin with color tattooing. Color realism, for instance, is a work of slow and careful layering. It has order given by specific ink properties. I can be slightly lightened up or darkened up in the process, but in the end each stroke, each puncture will show in the final piece. Same with oils, with maybe one little difference, that with oils you are able to paint over old image completely. This and the next tattoo are part of the same bigger composition. The idea behind it is to show some of the favorite cartoons of the wearer. I like to call it sometimes, tattoo of eyes, as most of those cartoons have crazy, big orbits. Full color tattoo of Melman. And all of that I believe makes full color tattoos top of the tattooing. Amount of properties that has to be controlled, designing specific to tattoo art, and only a small possibility of modification of what is in skin already, all that makes full color tattooing extremally complicated task. Even I tattoo for a good bit, and I like to believe that I know something about color tattooing, I still learn each time. Movies inspired tattoos were always an important influence. They often provide a decent quality of references and bring a nice selection of new subjects. Full color feminine chest tattoo. Aim for this one was to work with full color, but still stay delicate. As an old tattoo joke says, we are usually full of first and only tattoos. It is rare that someone stops with just one. That is why I always prepare myself and leave an option for expansion. 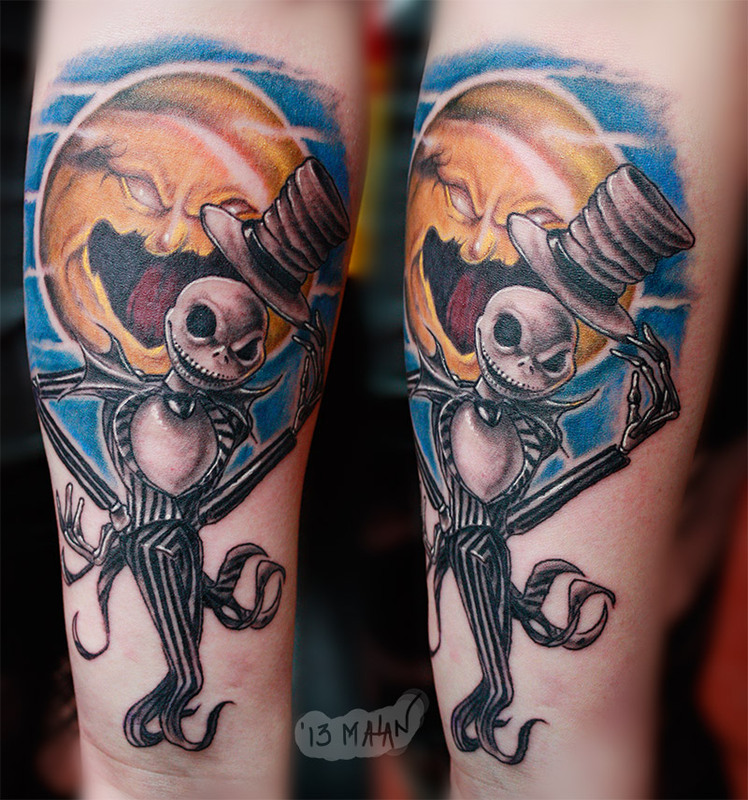 Many tattoos are inspired by modern movies. Movies became so visual, and have so many fans, that some of them decide to mark their skin with beloved character or scene. This crazy mixture of Darth Vader and Samurai was requested by my customer. Sounded weird at first, but as I started to work on the subject, Star Wars inspiration is character creation was apparent and made all fit together perfectly. 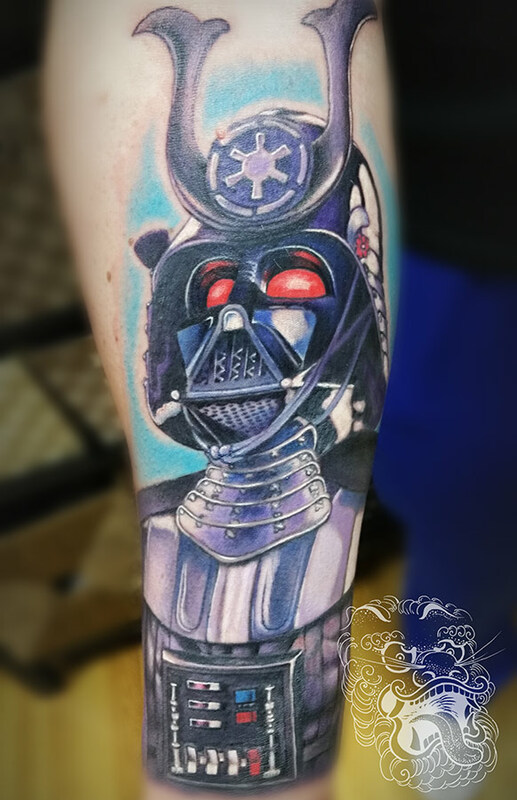 In the picture above, I tattooed Darth Vader to obscure old, unwanted tattoo. Heavy black of Vader's armor serves correctly for this purpose.